Parents’ expectations about their children’s future comprise a key aspect of parental socialization and relate to children’s adjustment. The aims of the current research are to develop a new scale to measure parents’ expectations about their children’s future in several domains (Economic/Occupational, Academic, Personal Well-being and Family Expectations), and to analyze the psychometric properties of the scale. Six hundred and sixty high school students and their parents completed the questionnaires (Adolescent Future Expectations Scale [AFES] and Adolescent Future Expectations Scale for Parents [AFES-p]). Exploratory factor analysis (EFA) was carried out and a confirmatory factor analysis (CFA) was conducted to test scale structure. CFA evidenced a good fit of the dimensions of the original model. In addition, the reliability of the scale was found to be high. Lastly, total scores and subscales scores of AFES-p correlated significantly with AFES. 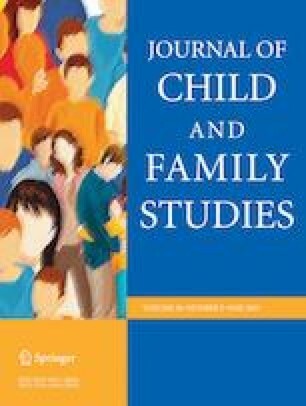 Results obtained show that the Adolescent Future Expectations Scale for Parents possesses good psychometric properties and can be used objectively with parents of adolescents in the Spanish population. This instrument allows us to assess parental expectations about their adolescent children in several life domains. Besides, it could be useful in the psychoeducational field to identify possible discordance between parental and adolescents expectations. Y.S. designed and executed the study, performed data analyses, and was involved in the writing of the paper. L.V. was also involved in the design, execution, data analyses, and writing of the paper. F.J.D. collaborated in the data analyses and editing of the references. All procedures performed in studies involving human participants were in accordance with the ethical standards of the institutional and/or national research committee and with the 1964 Helsinki declaration and its later amendments or comparable ethical standards. The University of Cádiz provided IRB approval for the study. Bandura, A., Barbaranelli, C., Caprara, G. V., & Pastorelli, C. (2001). Self-efficacy beliefs as shapers of children’s aspirations and career trajectories. Child Development, 72, 187–206. http://www.ncbi.nlm.nih.gov/pubmed/11280478. Correa, J. N. (2018). Evidencias de validez de la escala de expectativas de futuro en la adolescencia (EEFA) en estudiantes del distrito de Trujillo. Trujillo, Perú: Universidad César Vallejo. http://repositorio.ucv.edu.pe/bitstream/handle/UCV/11264/correa_aj.pdf?sequence=1&isAllowed=y (Tesis de licenciatura)Recuperado de. Eccles, J. S, Fredricks, J. A., & Baay, P. (2015). Expectancies, values, identities, and self-regulation. In G. Oettingen, P. M. Gollwitzer (Eds. ), Self-regulation in adolescence. (pp. 30–56). Cambridge, UK: Cambridge University Press. https://doi.org/10.1017/CBO9781139565790.003. Frome, P. M., & Eccles, J. S. (1998). Parents’ influence on children’s achievement-related perceptions. Journal of Personality and Social Psychology, 74, 435–52. http://www.ncbi.nlm.nih.gov/pubmed/9491586.